Service offer in the extent upon our client's wishes. 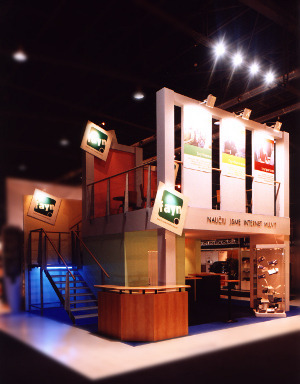 Thanks to our rich experience, we can prepare a “tailor-made“ exposition for you. The cooperation with you may start with an advice in what trade fair to take part. We can assist you with selection of the area – we know well all yards in this country and many of them in Europe. If you wish, we can order services from or consult the trade fair organizer and upon the client's requirements, we will prepare a design of an exposition including the calculation and any other services. When the client is fully satisfied, we can agree on hand-over, or transportation and installation of exhibits.